Freelance work doesn’t always drop out of the sky into your lap. In fact until you get yourself established and work starts coming via word of mouth through previous happy clients, there is a good chance you may find work via an agency. With some, there is a stigma of working through an agent, some people have had bad experiences in the past or have heard stories of rogue agents. However, this is very much a thing of the past, yes of course there are still agencies that treat themselves as pure sales houses and don’t adhere to any code, but they are becoming rare. You can with research also identify an agency that works within your skills. More companies are setting up in vertical markets and focus on supplying specialist skills. They will be able to provide higher quality clients and more interesting freelance projects for you to work on. Some people like to be headhunted. The phone call from the agent who tells you she has a client that is interested in your skills. That’s all very well and nice, but it’s rare. You will however receive a number of calls from IT agencies asking about your work availability, can you send a CV etc. A common mistake is to respond to every agency, spreading your details around as many agents as possible. Less is more when dealing with agencies, be selective. By reducing the amount of agencies you deal with, cuts down the wasted phone calls that don’t match your skills or project preferences. Also it reduces the chance of your CV getting duplicated for new projects, more than one agent sending in your details. It can go against you. What is the agent getting? Negotiation starts the minute an agent asks you “what rate are you looking for.” Be firm and decisive on your rate, don’t go with your bottom line. Go with an hourly/daily rate that you’re happy with, that you feel your skills deserve. The setup with an agent is quite simple. They have a window between what rate you’re willing to work at and the rate a client is looking to pay. So they will try and push your rate down and lift the client rate up, giving them a bigger margin. An acceptable margin in today’s market should be around 10% – 13%. But don’t get hung up on what an agent is getting if you’re getting the hourly/daily rate you want. With big clients, most agents work on a PSL (preferred supplier list) and have set margins with the client, so less room for negotiation. Once you have chosen an agency that suits your skills, keep the lines of communication open. You don’t want to be just another name on their database. Even when you have a contract or plenty of freelance on the go, drop them a line each month to update your availability, add any new skills you have picked up or just chat. A good recruiter will always have a list of active freelancers who they will contact before they hit their internal database or spend budget on advertising. Stay fresh in the thoughts of recruiters, you will find that agency calls will be better qualified in terms of what work you’re looking for and also more frequent. Always keep your CV updated with your agency. Once you have finished your contract, update your CV and send it in to the agency, they will replace your database CV. This is important because you don’t want to be overlooked for any work that suits your skills, or more importantly, your new skills. Often a recruiter will pass over a freelance requirement to a resourcer who will work on the internal database to find candidates. The search will be mainly driven by skill keywords, if your new skills are not on your CV, you will miss out big on new freelance projects. Do you have some great news or advice to dish out to our readers? 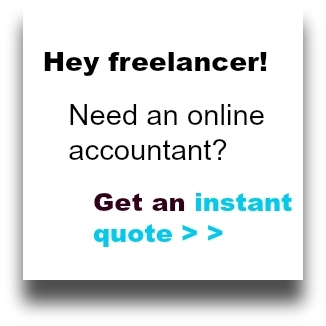 Do you have information on a resource that could be useful to a lone freelancer or contractor? Get your name up in lights on the wonderful Freelancer News blog and be a featured guest writer. Your words need to be wonderful and original - get in touch! Should freelancers setup a bank account? Can freelancers get a mortgage? Freelancer News Copyright © 2019. All rights reserved.